Blue Mountains, from Katoomba, NSW. 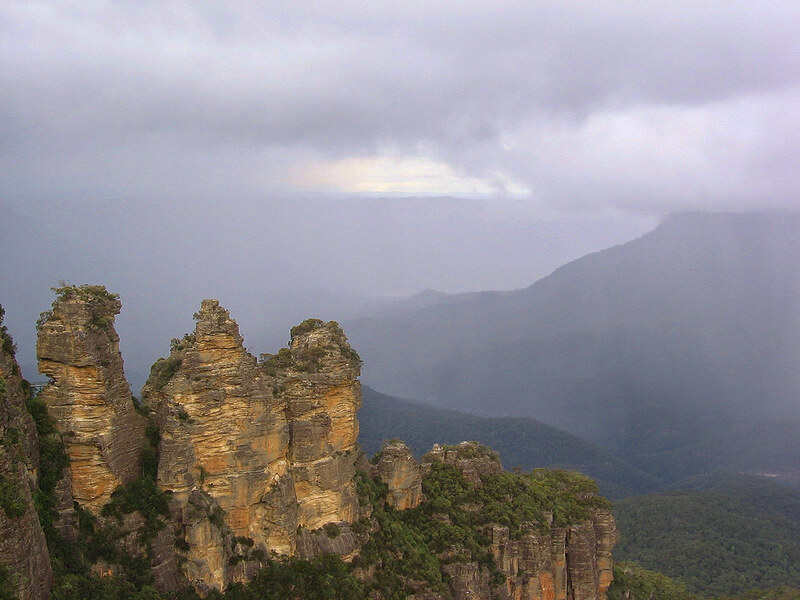 Torrential rain approaching the Three Sisters; Mt. Solitary peak at right was known as “Mun-mi-ee” by the Gundungarra people (HL 20070708). Alpbach valley in early spring-morning light (HL 20180514; see this). Serra do Ibitiraquire mountains, near Morretes, Paraná. At 1877 metres (6158 feet), Pico Paraná is the highest point in Paraná state and in southern Brazil (HL 20110710; see this). Coast Mountain Range, near Vancouver, BC. The indigenous Squamish First Nations people once had coastal villages in and around Howe Sound (HL 20140516; see also this post). Lower Andes, near Vicuña, Región de Coquimbo (Región IV). A sleepy “zorro” (desert fox), from Cerro Tololo Observatory (HL 20070623; see this). Coastal Range (Cordillera de la Costa), Región de Antofagasta (Región II). 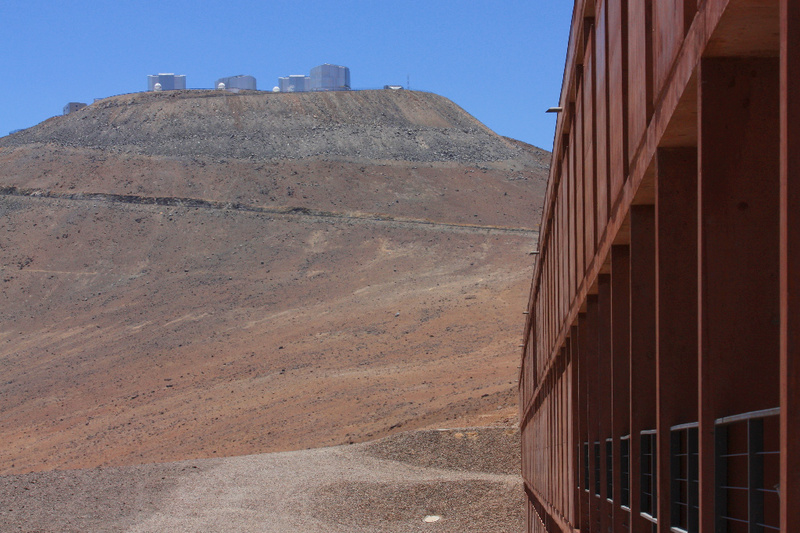 Telescopes & Residencia, ESO (European Southern Observatory) at Cerro Paranal. Arid Atacama desert, horizontally laminar air flow, and well beyond city lights are prime conditions for astronomy (HL 20091125). Germany’s highest church, Kirche “Maria Heimsuchung” (HL 20111009; see also here). Picacho del Diablo, Parque San Pedro Martír, Baja California. Southeast from México’s Observatorio Astronómico Nacional to highest point on Baja California peninsula (HL 20051216; see this). Southern Alps, flyover near Aoraki/Mount Cook National Park. 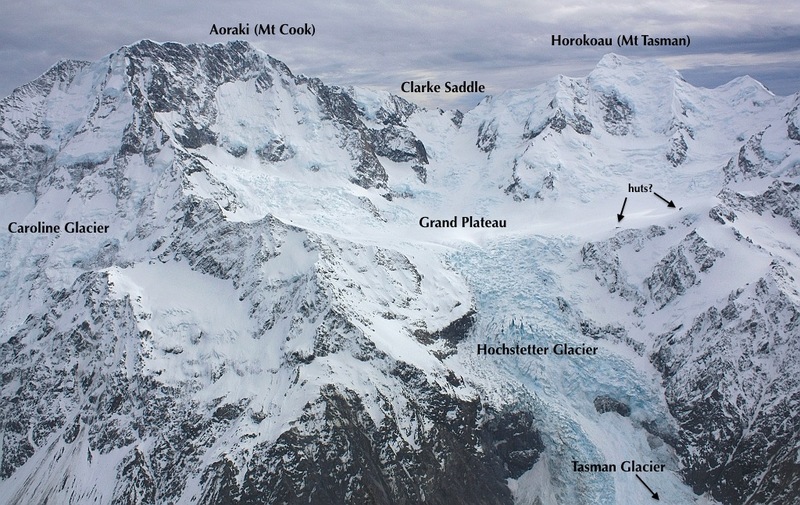 Flying north and facing west to the 1st and 2nd highest peaks in New Zealand (HL 20120721; see also post on the “Grand Traverse”). Table Mountain, over Cape Town and the Cape Peninsula. From the back of the Table to where the Atlantic Ocean and Indian Ocean meet (HL 20121013; see this). Kohala, on the Big Island of Hawai’i. Cinder cones on extinct volcano Kohala (HL 20091208; see this). Photo by Amy Toensing for Getty Images. 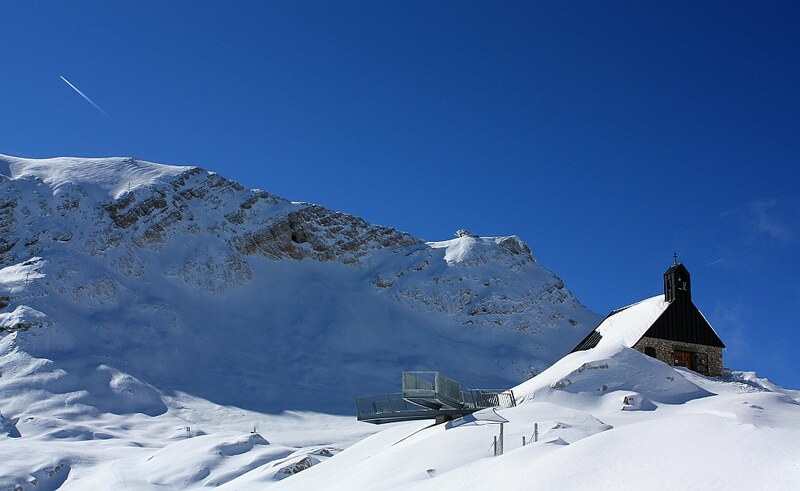 UN FAO International Mountain Day 2016. Except for the top and bottom images, I made the remaining photos (HL) between 2005 and 2018 with Canon (Powershot A510, EOS 450D, EOS 6D mark I) and Fujifilm (X70). This post appears on Fotoeins Fotografie at fotoeins.com as http://wp.me/p1BIdT-99u. Your first image reminded me so much of the Dolomiten in Italy, oder die drei Zinnen. That is a great question, my guess would be that it’s different, because of a different climate.